Elegant shirt with original decoration. Michelle has a classic shirt cut. It has a loose-fitting cut, a standard collar and cuffs. Its most important detail, however, is the shiny, expressive jets that decorate the belt around the buttons and collar. These are the bold character of this shirt. 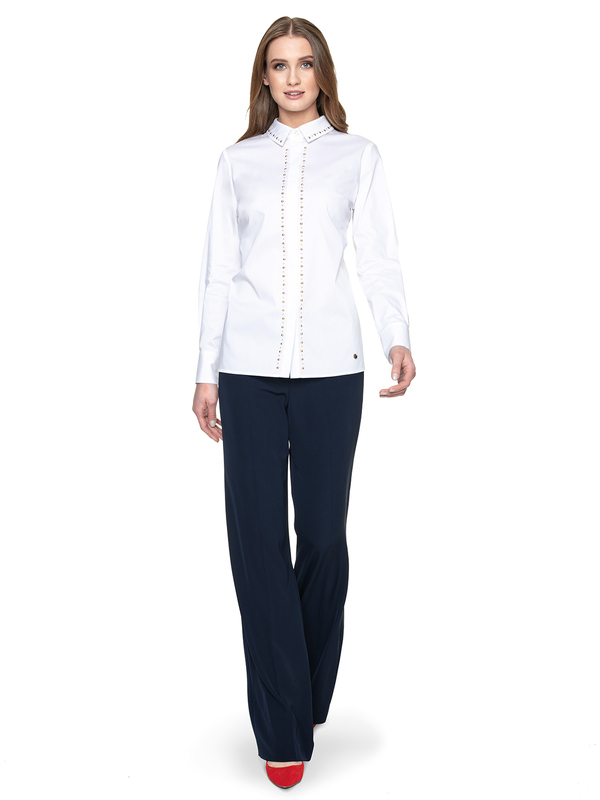 Choose an equally elegant bottom for this stylish shirt. 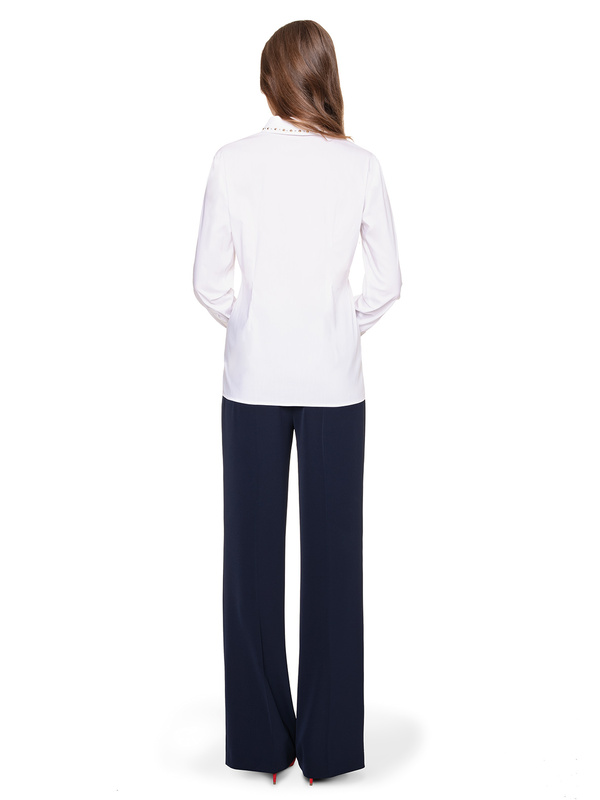 Trousers pressed in an edge, elegant skirt or dark cigarillos will be the right companion for Michelle. Attach a shopper’s handbag or briefcase to the chic set. The dot above and in this style will be shoes in intense color, such as mustard, red or green.